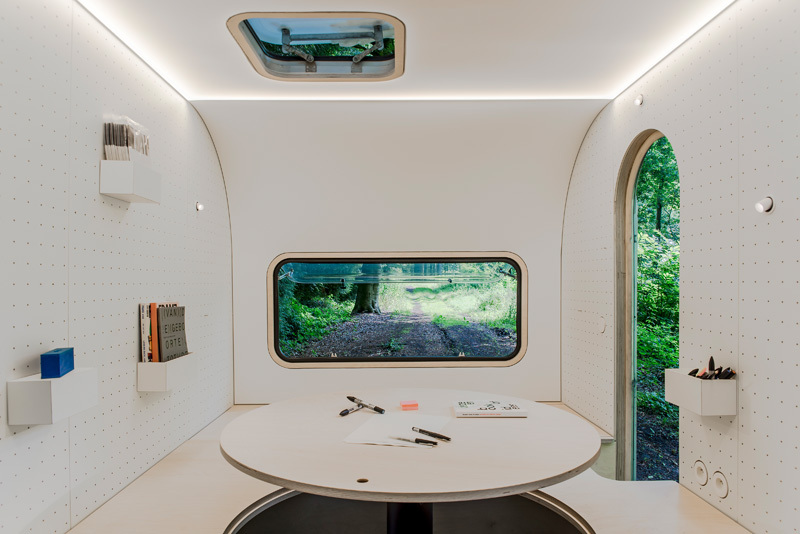 An ordinary compact camping trailer hides a transforming interior that can adapt from a mobile workspace to a relaxing place to take a nap within minutes. 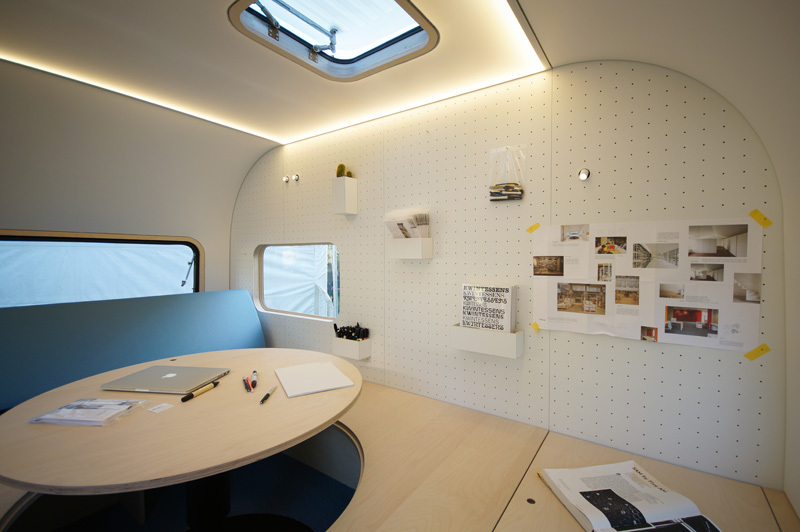 Dubbed #dojowheels, this little studio by Belgium-based design firm FIVE AM feels larger than it is inside thanks to a clever space-saving trick. The circular table pops up from the floor, revealing access to a storage space that keeps the interior from feeling cluttered. But even cooler than that is the fact that while you’re sitting at the table, you can dangle your legs inside. Not only does that make it more comfortable to sit, it also makes the ceiling seem far higher than it really is. The peg board wall also makes it easy to hang various working implements as well as little cubbies for your magazines, gadget chargers and other small items. 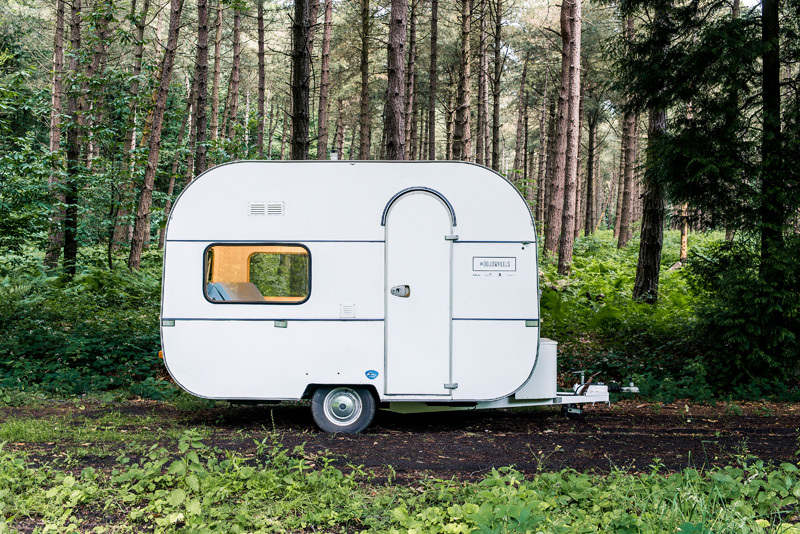 Since the trailer is so small, it’s easy to tow around, enabling the owners to switch up their view to whatever inspires them the most day by day.